Here I am, torn between Roy Cadman and Freddie Walker. I am proud to have been working with the London Taxi Benevolent Association for the War Disabled for the last few years. My work involves documentary filmmaking, events and music. 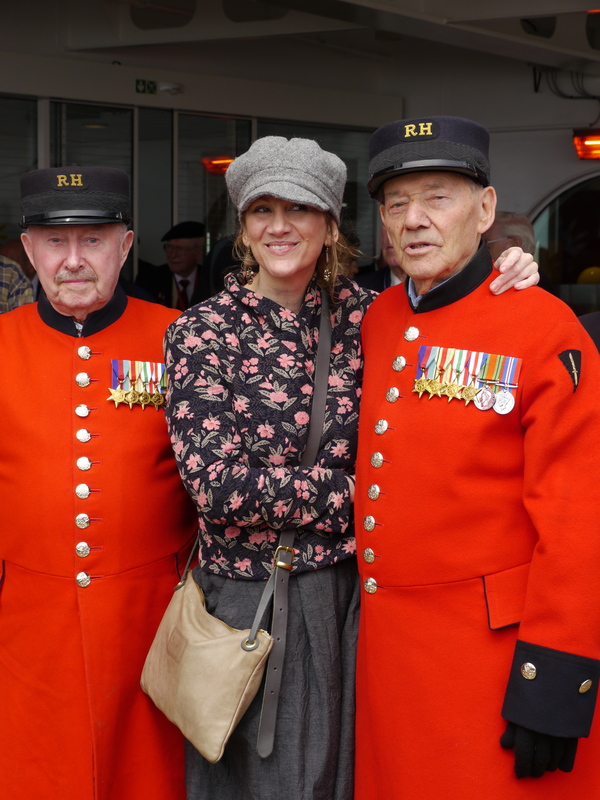 My first encounter with the charity was in 2011 when I bumped into two WWII veterans fund-raising for a trip to Holland at Canary Wharf station. I became quite captivated by the charity and working with the veterans. Several months later, having convinced them to let me accompany them on the trip, I found myself in a convoy of 80 Black Cabs on the way to The Netherlands with my camera. I still regularly meet up with the charity and the veterans at formal, public and social events. The charity’s commitment towards our veterans is both impressive and humbling. Quietly getting along its work for more than half a century, it rarely gets a mention in the media. I’ve been motivated to consider what I can do ensure that the charity – and the Black Cab drivers whom they rely on – is recognised. The role of this blog is to help raise awareness of the charity, as well as to document my own work with the charity and the veterans. It has followers far and wide, including veterans, their children and grand-children, taxi drivers and their families.